Corken CD-Series Coro-Vane® pumps produce a maximum differential pressure of 125 psig (8.6bar g). Corken manufactures four sizes of Coro-Vane pumps, ranging from 20 to 400 gpm (4.5–90.9m3/hr). These pumps can handle discharge pressures up to 400 psig (27.6 bar g). They are designed for light liquids with viscosities below 10,000 SSU. The pump housing and rotors are constructed of ductile iron for extra strength and long life. The sliding vanes are self-adjusting which allows for longer life and higher efficiencies throughout the life of the pump. 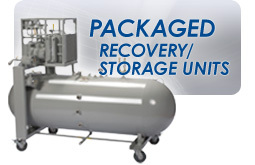 The pump series is inexpensive and simple to repair. The pump design includes removable pump casing cams (liners) and reversible/replaceable side plates which when worn can be replaced in minutes. The seal and bearings can be replaced in minutes by simply removing four bolts. 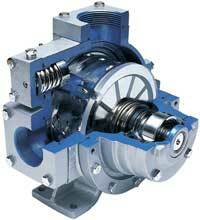 Corken offers these pumps with v-belt or gear reduced direct-drive mounting options.